Even though it was a 5+ hour drive from Birmingham, it was well worth it for a new race weekend on the calendar this year in Greenville, SC put on by the Piedmont Orthopaedic Associates Cycling Team. The first race was at Brookwood Church in Simpsonville just outside Greenville. The church had a huge circular parking lot that surrounded the church with a chicane leading to a perimeter road. The finish came about 300 meters after the chicane up a slight incline. The course was fast and wide open to make for a really fun race. Although the field was small, there was some really strong riders in the field: Andy Baker (Mountain Khakis), Thad Dulin and Cleve Blackwell (Team United Healthcare), Jonathan Clarke (Jelly Belly), and Geri Mewitt (Hincapie) just to name a few. I was in several breaks early, but the move that stuck was a counter attack to a move I was in halfway through the race. Still, with one lap to go they called a $70 gamblers prime so I attacked, won the prime, and stayed away one more lap almost catching the break of 5 but not quite so I ended up sixth. Sunday’s race was at the BMW Performance Center in Greer. Cleve attacked solo at the beginning of the race. 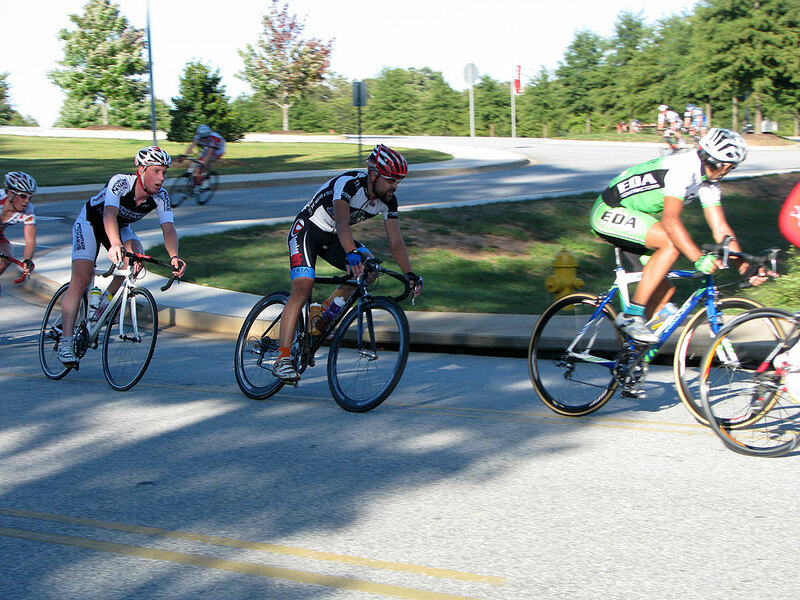 Andy Baker (Mountain Khakis), Geri Mewitt (Hincapie) and myself bridged up to him to form a strong 4-man break. On the technical part of the track, we were making time extending our lead up to nearly 30 seconds. But Jonathan Clarke (Jelly Belly) had missed the move and he ended up slowly but surely pulling the field back up to us. Clarke got away solo a few laps later and a couple laps after that Thad Dulin (United Healthcare) attacked with Juan Pablo (Aerocat). I latched onto them and helped chase for a few laps. Then, the field brought our chase back. Thad counterattacked immediately after we were caught and Juan Pablo went with him again. I was too tired to respond, so the two of them eventually joined up with Clarke and the three of them sprinted it out for the podium spots. With two laps to go, they called a $10 prime which I attacked and won. Then they called a $20 prime with one lap to go, and I stayed away from my previous attack to win that one too. Then on the last lap, it looked like I might be able to stay away to hold on for 4th – but I was caught by Geri Mewitt on the line who had attacked the group and took 4th with me coming in a second later for 5th and the field sprint only a few seconds behind us. 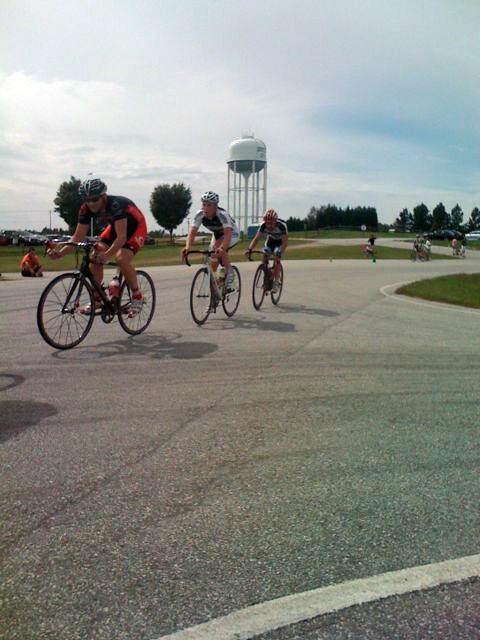 This entry was posted in Racing and tagged criterium, heartrate, photos on October 6, 2009 by kartoone. Yeah for a great season and YEAH for the end of the season 🙂 I’m sure by February, I’ll be ready for the next one to begin!